In its first four years on the air, Homeland’s relationship with 24 worked to its benefit. It shares common creators and explores the same subject matter and themes with a more mature, nuanced, and character-focused approach. The show isn’t hemmed in by the strictures of the real-time format, and while it delights in pulling the rug out from under the audience, it isn’t expected to do so at least once per episode. 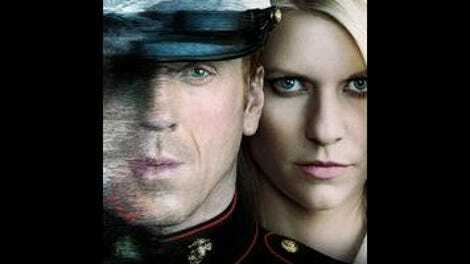 The Homeland of yore—the one that felt like 24’s world-weary older sibling—had a limited shelf life because it focused on the inherently closed-ended premise of a bipolar CIA analyst trying to expose and take down a war hero turned jihadi. Showrunner Alex Gansa and his writing team did everything within their power to hold onto Nicholas Brody as long as possible, including his appearance in last year’s polarizing “Redux,” but the longer Brody was around, the more inert the show became. Now that Homeland is going into its fifth season, the 24 comparison is becoming an unfavorable one, which is troubling considering Homeland looks more like 24 with each passing season. Season four ended on an oddly muted finale focused on Carrie Mathison’s attempts to make peace with her estranged mother and process her complicated feelings for Quinn. But when all was said and done, Carrie found herself without a country—literally, with her services no longer required in Pakistan, and figuratively, with a massive rift in her relationship with Saul, the closest thing she’s had to a stable relationship outside her family. Carrie was in the position Jack Bauer invariably found himself in at the end of most seasons of 24, twisting in the wind and officially disavowed despite being solely responsible for averting several world wars. It was always unclear where Jack would end up or how he would manage under the crippling karmic debt he racked up in the name of keeping Americans safe. Then the next season would begin with a time jump of several years and Jack becoming ensnared in yet another quickly escalating global crisis. Homeland is now painted into the same corner, but its emphasis on character over format leaves it without 24’s ability to adapt from season to season. In 24, the whoosh of CTU’s constantly spinning revolving door became part of the score. The CTU team would be reconstituted and reintroduced with every new season, and with the exception of Jack, there was no such thing as a character that couldn’t be eliminated. As a lone wolf, Jack could fit into any puzzle because he didn’t have any real-world baggage or relationships that complicated his decision making. Carrie, of course, is completely different. She has relationships with Saul and Quinn that form the show’s foundation, and now that she’s raising Frannie, she doesn’t have the luxury of hitting the reset button on her entire life. There’s also the matter of Carrie’s mental illness, which is not a story that can be told from an infinite number of angles. As much as the new season seems like a dramatic reboot, there’s only so far Homeland can get from its own shadow. 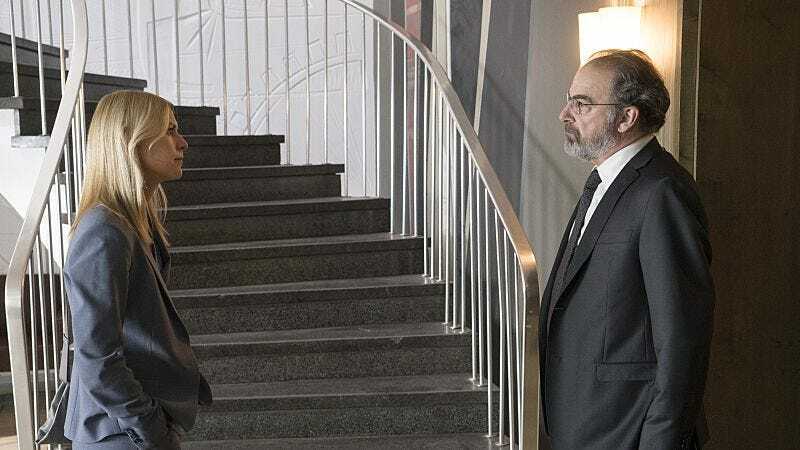 That doesn’t mean Homeland is doomed, but season five could be the year when the law of diminished returns manifests itself to an undeniable degree. It’s hard to credibly tell a story about Carrie trying to get out of the spy game without dragging several characters along for the ride no matter how vestigial they become. “Separation Anxiety” does an impressive job of setting up for the season ahead. It’s hard to imagine a more effective way to execute the premiere of a season in which Carrie has become a private security consultant to a philanthropic billionaire in Berlin only to find her tumultuous old life creeping back into her relatively peaceful new one. But that premise is such a departure from what the show has been before, it remains to be seen whether even the best possible execution of the new direction will be enough to revitalize the show. “Anxiety” is a strong episode, but it feels like the first few pages of an epilogue, not a new chapter. Perhaps that’s because right now, Homeland feels like two separate shows, one about Carrie and another about Saul and Quinn. Carrie is enjoying her placid job at The During Foundation, but because she’s still Carrie, she’s sleeping with one of her co-workers, Jonas, the foundation’s in-house attorney. They live together with Frannie, who Carrie is happily raising after two years of emotional distance from the unfortunate bathtub incident. Meanwhile, Saul has become the European division chief, after Carrie apparently derailed his bid for the directorship, and Quinn is handling the wet work for a highly illegal program to eliminate would-be terrorists in Germany with the German government’s secret blessing. They’re both shows I’d watch, but the more the two intersect, the more unnatural each one feels. That’s a problem that looks like it will be repaired quickly. Before the hour is out, all three characters have made it to Berlin, Carrie’s new base of operations. Saul is in Berlin with Allison, the head of local CIA operations, to urge the heads of Germany’s BND to continue with an illegal surveillance program in which the U.S. covertly spies on German nationals so the locals don’t run afoul of the country’s comprehensive privacy laws. Quinn is a broken man who seems to find peace in the simple, goal-oriented routine of receiving the name of a person to kill, and then proceeding to kill them. Carrie is deeply embroiled in both stories, as Laura, a self-righteous coworker from During’s foundation prepares to leak stolen evidence of the German surveillance program, and During insists on personally heading to the Syria-Lebanon border to deliver much needed resources to an overrun refugee camp. Even with the wildly different setting and dynamic, all of the stories are deeply rooted in the characters. There’s no immediate terrorist crisis to avert, and no looming threat to American lives. Only one bomb goes off in “Anxiety,” when Quinn dispatches his latest target. Homeland now feels like a show that’s always looking back where it once barreled forward at a furious pace. As was the case with season four, it will be a while before it’s clear whether this reboot will be the one that reanimates Homeland or the one that merely puts it one year closer to the grave. Both Saul and Quinn are much pricklier than when we last saw them. Saul was ice cold in his brief interaction with Carrie. It was quietly heartbreaking to see Carrie go to so much trouble to “accidentally” run into Saul at the CIA’s Berlin office. Carrie’s kidnapping already feels like the Abu Nazir days, then Al Assad directly mentions the ambush in “Beirut Is Back.” “You killed my son in Beirut. I will fight you forever. Laura is kind of terrible already.